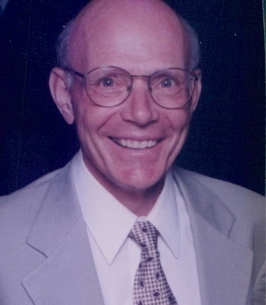 William “Bill” Truex, 78 of Brielle, NJ and Mendon, VT passed away to his Lord at Sunnyside Manor Assisted Living, Wall on September 19, 2018 surrounded by his loving family after a long battle with brain cancer. Bill was adopted as an infant through Catholic Charities by Fred and Clara (Wynn) Truex of Brielle. He attended St Margaret’s in Spring Lake and Brielle Grammar School, Manasquan High School, and also Glassboro College (Rowan) in South Jersey. With humble beginnings and hard work he formed Truex Abstract, Inc. a title insurance agency in Manasquan which his sons now operate. Bill loved his church of St. Denis, Manasquan and Our Lady of the Mountains, Killington, VT. He made many friends in both places. He and his wife Doris were avid skiers for over 50 years. Bill loved to cycle on “Old Duke” as he called his bike; he swam all summer in the pool and fished on his boat “The Dar-Lyn” of which he wished he could be at the helm one more time. Bill and Doris belonged to Pico Ski Club for many years as well as the 70+ Ski Club; they are lifetime members of the Ocean Ski Club, NJ, and until recently were long time members of Manasquan River Golf and Country Club. Bill is survived by his beloved wife of 57 years Doris (nee Kessler) Truex of Brielle; his loving sons Fred and his wife Lynne Truex of Brick and Felix and his husband Bill of Interlaken, NJ and his loving grandson Matthew Truex of North Hollywood, CA. Family and friends are invited to attend a visitation on Monday September 24, 2018 from 3-7 pm at Orender Family Home for Funerals 2643 Old Bridge Road Manasquan, NJ. A Mass of Christian Burial will be 10 am on Tuesday September 25, 2018 at St. Denis Church, Manasquan, NJ. Interment will follow at St. Anne cemetery, Wall. In lieu of flowers memorial donations may be made to St. Denis Church 90 Union Avenue Manasquan, NJ 08736. To send condolences to the family please visit www.orenderfamilyhome.com. 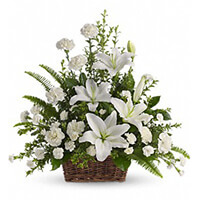 To send flowers to the family of William F "Bill" Truex, please visit our Heartfelt Sympathies Store. Our heartfelt condolences to Bill's family. I remember the deer hunts with the Five Points Gun Club with Bill and our Kessler friends. We have used the services of Truex Abstract for over 40 years and we are saddened by the loss of such a fine man and friend. Bob Clark and all of us at Clark & DiStefano. Dear Felix, I'm so sorry to hear of your father's passing. I can't say "I know how you feel" but I do know what it felt like to lose my father. You have my deepest sympathy. I know your dad was well loved. And wow, Felix, you look exactly like him! Very good-looking. You and your family are in my prayers. In loving memory of William Truex, because he so loved the outdoors. Our love and prayers to Doris and the Truex family.